People behave in a similar way to others who are like them, and have influenced them. Martin, S. (2008). The science of compliance. Practice Nurse, 35(1), 38-39. People are more obliged to do for others what they have done for them. Martin, S. (2008). The science of compliance: reciprocity. Practice Nurse, 35(3), 37. People act in line with previous commitment, even if demands escalate. Martin, S. (2008). The science of compliance: consistency. Practice Nurse, 35(5), 43. People are more likely to follow those with expertise and credibility to guide their decisions. Instead of displaying "power", compliance will happen when you display "expertise and credibility"
Martin, S. (2008). The science of compliance: authority. Practice Nurse, 35(7), 39. People are influenced more by those whom they like and who like them. Martin, S. (2008). The science of compliance: liking. Practice Nurse, 35 (9), 43. Opportunities that appear more valuable when they appear less available. Focus on what the client/patient stand to lose if they 'do not' without instilling fear in the patient. Martin, S. (2008). The science of compliance: scarcity. Practice Nurse, 36, 50. People who do not exercise or exercise sporadically perceives more barriers to exercise than those who exercise regularly. Also, people who exercise regularly rate their confidence higher (i.e., self-efficacy) to overcome obstacles to exercise. Simonavice, E.M., Wiggins, M. S. (2008). Exercise barriers, Self-efficacy, and stages of change. Perceptual and Motor Skills, 107, 3, 946. Perceptions of self-efficacy have been consistently identified as being determinants of exercise adherence in asymptomatic, rehabilitative, younger, and older populations. McAuley, E. Courneya, K.S. Rudolph, D.L. Cox, C.L. (1994). Enhancing exercise adherence in middle-aged males and females. Preventive Medicine, 23, 498-506. Exercise intensity is posited to influence affective response to exercise via interoceptive and cognitive pathways. People who pace themselves during an exercise prescription adhere to the exercise prescription at a higher rate as compared to those who pushed at higher pace than a comfort zone. Williams, D.M. (2008). Exercise, Affect, and Adherence: An integrated model and a case for self-paced exercise. Journal of Sport and Exercise Psychology, 30, 5, 471. Apparently unhealthy individuals (smokers, cardiovascular high risk patients, overweight patients) should be informed of the benefits of exercising at a moderate intense, a lower intensity that is generally perceived to be necessary by this population. Gordon, N.F. et al. (1993). Life style exercise: A new strategy to promote physical activity for adults. Journal of Cardiopulmonary Rehabilitation, 13, 3, 161-163. A client-centered approach is the most important component of a health coaching skill set. Patients can ascertain whether you are truly attempting to understand their situation instead of merely trying to manipulate them into change. Respecting each patient's autonomy, drawing out ambivalence about change, evoking change talk, and allowing the patient to develop and/or own the treatment plan greatly improve the chances of achieving positive clinical outcomes. Butterworth, S.W. (2008). Influencing patient adherence to treatment guidelines. Journal of Management Care Pharmacy, 14, 6, 21-24. See Example Client Centered Goal Setting and Sample Interaction with Athlete. Also see Anchoring. The efficacy of the Physiotherapy treatment plan is highly dependent upon patient compliance. 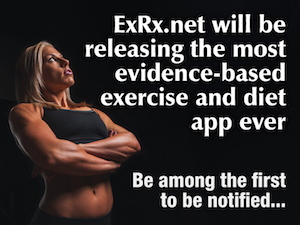 Only 34 to 62% of patients undergoing physiotherapy correctly apply their exercise programs. There was no difference between men and women with regard to patient compliance, but less educated patients were slightly more compliant than more highly educated patients (Sliijs EM, 1993). Sluijs EM, Kok GJ, van der Zee J (1993). Correlates of exercise compliance in physical therapy. Physical Therapy; 73 (11), 771-782. Interventions to enhance family support were effective in some cases, but belief in the benefit of the recommendation was the critical variable in all types of compliance. Ferguson K, Bole G (1979). Family support, health beliefs, and therapeutic compliance in patients with rheumatoid arthritis. Patient Counseling and Health Education; 1(3), 101-105. Client compliance rose significantly (77.4% vs 38.1% compliance) when take-home explanatory text and diagrams were provided in addition to verbal exercise programs instruction alone. Schneiders AG, Zusman M, Singer KP (1998). Exercise therapy compliance in acute low back pain patients. Manual Therapy, 1998; 3(3), 147-152. Deyo R A. (1982). Compliance with therapeutic regimens in arthritis: issues, current status, and a future agenda. Seminars in Arthritis and Rheumatism; 12(2), 233-244. Patients that viewed a video demonstration of exercises reproduced them more easily than those who viewed static images. Video modeling was indicated as more appropriate for encouraging confidence and motivation in an unsupervised exercise environment, such as a home exercise program. Weeks DL, et. al. (2002) Videotape instruction versus illustrations for influencing quality of performance, motivation, and confidence to perform simple and complex exercises in healthy subjects. Physiotherapy Theory and Practice, 18 (2), 65-73.